A few years ago, if someone suggested that emotional intelligence (EI or IQ) was the secret to social media marketing success, they would be considered borderline crazy. Today, as the noise on social media increases, the opportunity to truly deliver quality content to the right audience is of utmost importance. The marketing trends in today’s highly data driven marketing landscape, highlight the importance of personalizing the customer experience. While personalizing the customer journey is achievable, a recent study showed that 80% of consumers don’t understand them. Not knowing the customer is precisely why social media campaigns fail. Emotional intelligence is the secret sauce to great social media marketing campaigns. Marketing online focuses on offering value to the consumer not selling the product. Telling a unique story that is in line with the target audience will yield far better results than hard selling. For a while, emotional intelligence was a vague term that was considered a quality that people had. This natural talent allowed people to approach social situations easily and succeed in challenging scenarios. This all changed in the 1990’s when Peter Salovey and John D. Mayer identified emotional intelligence as “a form of social intelligence that involves the ability to monitor one’s own and others’ feelings and emotions, to discriminate among them, and to use this information to guide one’s thinking and action”. After this, Daniel Goleman wrote a book, Emotional Intelligence, that highlights five qualities that combine to create emotional intelligence. Self Awareness – Know your strengths and weaknesses and be willing to admit them. Self-Regulation – Use the filter in your brain before responding. Accept realities beyond your control. Motivation – What drives you to succeed? Money? Fame? Will this passion drive you to push your comfort zone? Empathy – How do you work with others? Can you comfortably work and interact with others that challenge your core beliefs? Social Skills – Can you communicate a message clearly? This is all fine and good but why is emotional intelligence relevant to posting something on Facebook? Why consider these factors when tweeting? Many marketers are equipped with all of these qualities. Unfortunately, others are not. Brands that understand the importance of emotional intelligence are able to challenge audience behaviors, diagnose issues and process data to make better-informed marketing decisions. Rather than react to trends, emotionally intelligent brands and marketers are able to proactively map out a campaign that is creative, relevant, and direct. Still unsure about emotional intelligence and its relevance to social media? Think about Buzzfeed. Their highly engaging headlines, creative lists, and non-traditional marketing tactics have changed the way we consume content. Rather than market to people, Buzzfeed markets with people. The company taps into the readers’ emotions and maximizes it to drive more traffic to the site. In many ways, Buzzfeed offers the best content, drives the most traffic, using the most non-SEO driven strategy. Social media isn’t a broadcast platform. Many think it is. It’s a place to create social interactions with people. Listening to customers, understanding their pain points, gathering feedback and applying it will deliver success. Know your audience persona. Each business should understand the level of conversation and emotional intelligence of their customers. Online marketing only works if the message is delivered to the right audience, with the right tone, at the right time. Learn the reasoning behind customer brand affinity. Why are they choosing your product over the competition? Collecting this information is the first step. The next is to actually analyze and use it to make decisions that are backed by user-data. Knowing all of this before responding or creating a campaign will certainly change the style and response of your consumer. Yes, that’s right empathy is also an important aspect of marketing. Knowing what message to use is only half the battle. Many brands will succeed in understanding what to deliver to the customer, but they are not aware of what response it may yield. Will your campaign inspire, upset, or anger your customers? Creating a positive customer experience will drive them to take charge, make a decision, and convert. Hopefully, the brand is able to deliver this emotion without making the consumer feel that they’ve been coerced. Every brand has experienced some form of negative situation. Understanding and acknowledging customer feelings always result in positive reactions. Knee-jerk reactions are not well thought out and are usually the ones that get publicized. 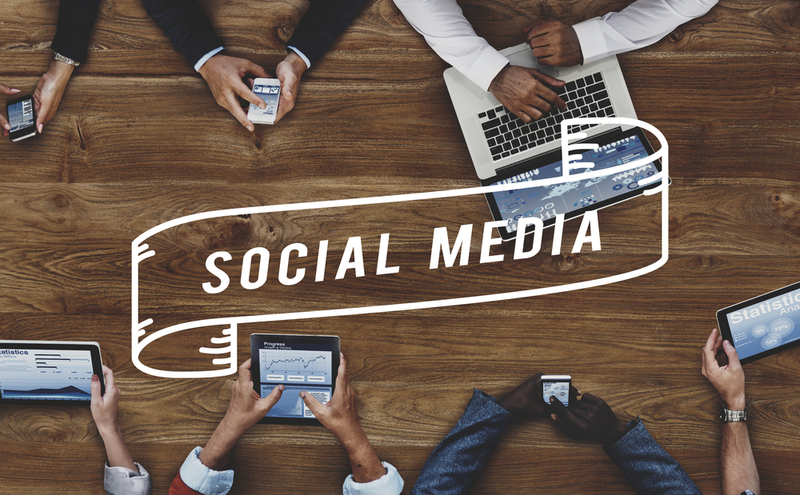 Social media allows brands to offer insight, content, and help people in a very public way. Every comment, statement, reaction that a brand makes is public. Think about what messages customers leave on your brands Facebook page? How quick are you to respond? Do you delete comments? Helping those customers looking for answers builds a strong trust, goodwill, and positive sentiment with existing and potential customers. Imagine what your community of 40,000 people will respond to the next question on the page? Serve as the resource for information beyond the product. Customer care requires emotional intelligence to execute. Helping customers field their questions and impress them with assistance will certainly impact the company’s bottom line. Most purchase decisions combine emotion and intellect. Customers collect information about the product, they research and then reach a decision. Every customer, whether they admit it or not, is impacted by emotion during the buyer’s journey. Look at what Huawei does when selling their new phones. Buying a new cell phone is no longer only a financial decision. It’s become an emotional one. Users want to know that they will be able to take the best pictures. Huawei is feeding directly into the emotions of the customer. Emotional intelligence has become an extremely valuable component in the success of social media campaigns. The future of digital marketing will be driven by how attentive a brand is to their audience and how well the brand can tap into their customers’ emotional intelligence. Establishing a connection with a consumer is the future of marketing. Customers are constantly looking to build trust with a brand. Here’s an infographic by Aumann Bender & Associates to help all social media marketers develop their emotional intelligence. ← All in one social platforms: One Tool to Rule Them All? Very interesting to read about a subject that isn’t discussed very often. And, yes, I agree with you. Emotions play a huge part in good marketing (and customer service), and knowing your customers’ emotions can help you come a long way, and dominate marketing and CS. Thanks for a good read. I enjoyed it a lot. I highly appreciate your thoughts regarding in this matter. Looking forward to more interesting and relevant articles. This is a very interesting topic. For me, hone in on your own emotions by putting yourself in your customer’s shoes. By connecting with your customers emotionally, you will be able to drive traffic to your website, increase your conversion rate and strengthen your marketing automation.